Home > Vietnam Holidays > Travelling Ha Giang in September - the buckwheat flower season has already started. 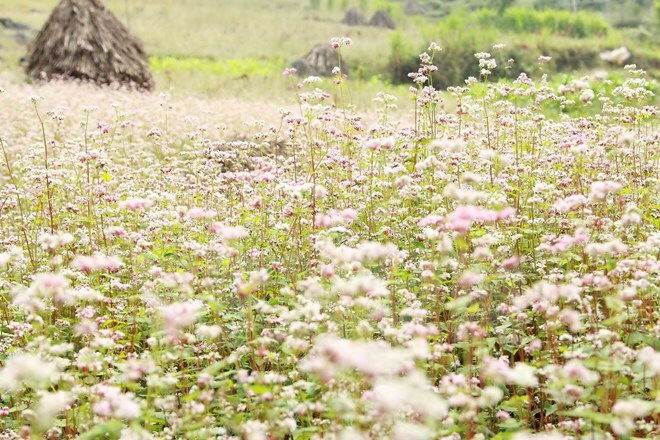 Travelling Ha Giang in September - the buckwheat flower season has already started. Travelling Ha Giang in September will bring to you the most magnificent landscape in North Vietnam with the buckwheat flower season has already started. 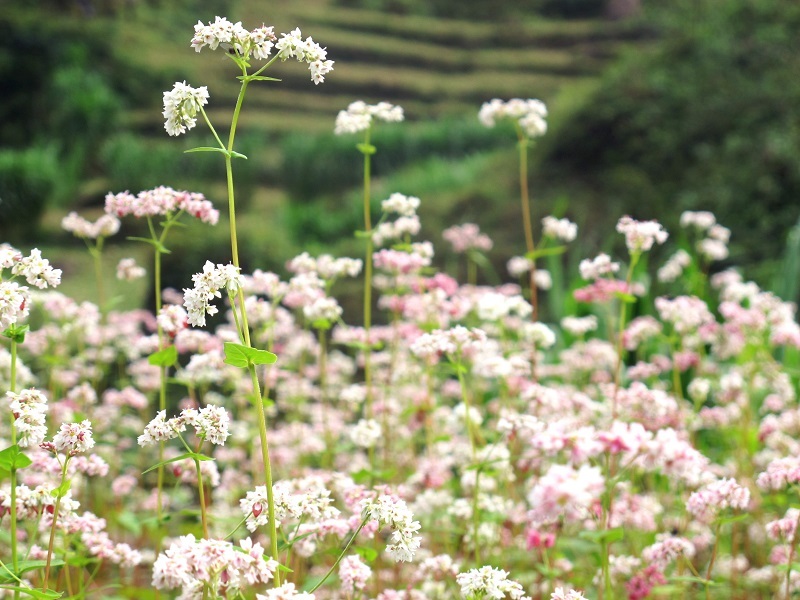 You will have a chance to view beautiful sights of pink buckwheat flowers blooming on the hills of Ha Giang ! 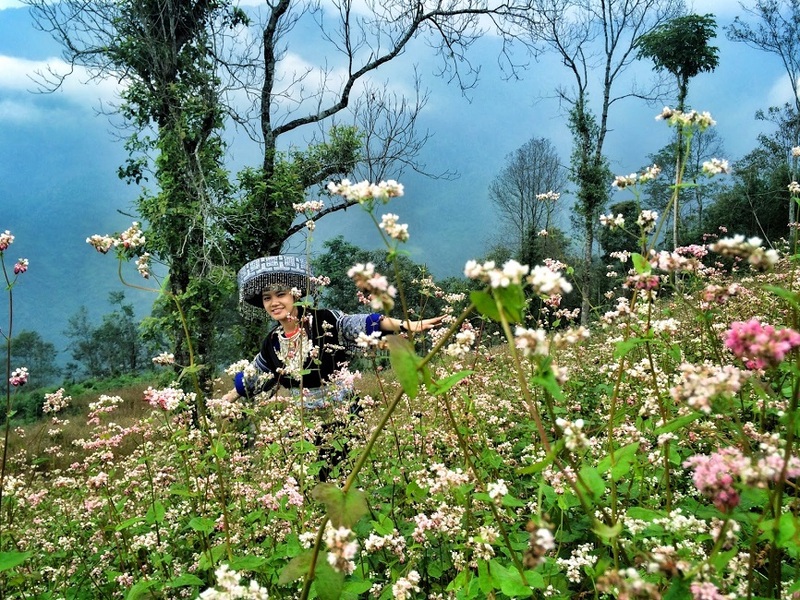 Dong Van Karst Plateau in Ha Giang has recently emerged as a destination for local and foreign tourists. 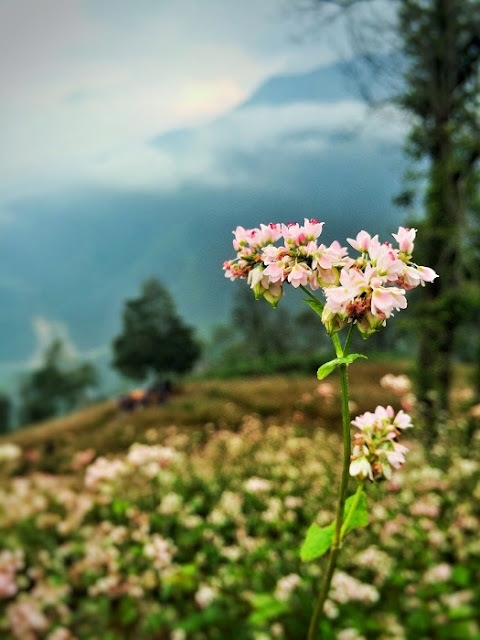 Apart from the Dong Van Karst Plateau Geo-Park which is recognised as the world’s heritage site, buckwheat flowers are also a speciality of the region. 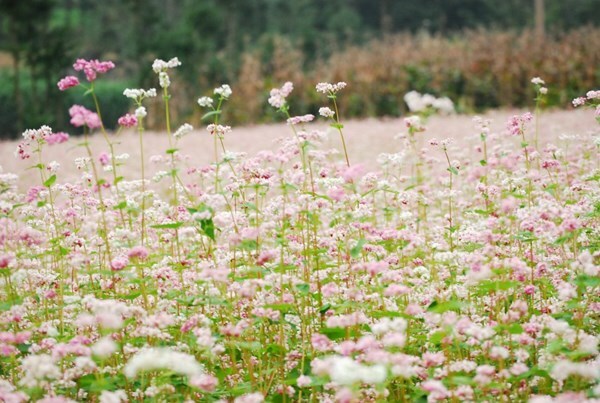 Buckwheat Flower or Tam Giac Mach. The buckwheat Flowers season in Ha Giang is now beginning to bloom and most beautiful is from the end of September to the end of December. At the same time, this end of the month is also the golden season of Vietnam's most beautiful terraced rice fields. So, you just need to spend three days is just enough to go to the most attractive tourist attractions in Ha Giang. I belive that will a wonderful holiday in Vietnam ! The main crop falls in September.